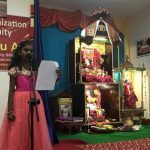 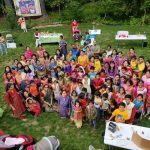 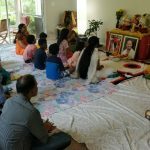 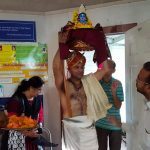 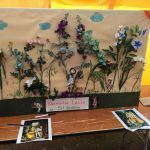 Boston Gopakuteeram celebrated Janmashtami in a fun, unique way this year on Sept 22nd. 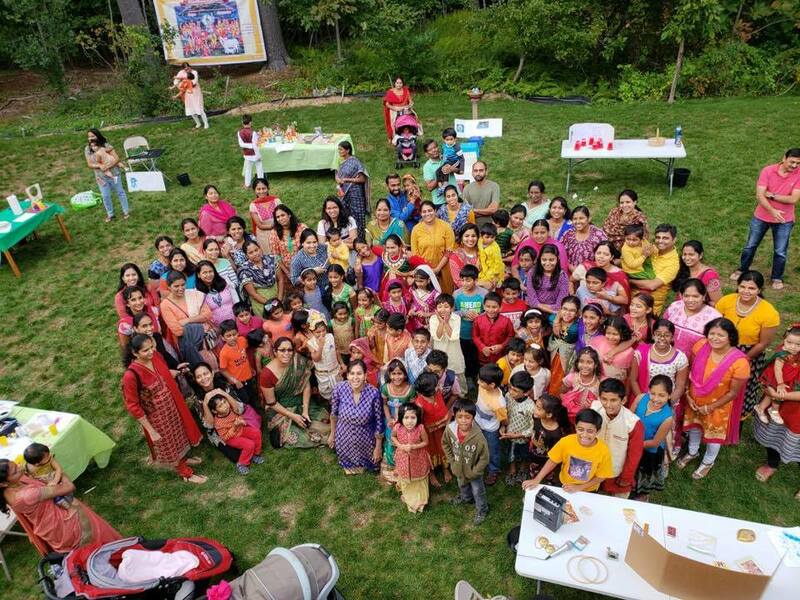 Gopakuteeram children from all over Boston came to Legacy farms in Hopkinton to-enjoy and learn more about Krishna. 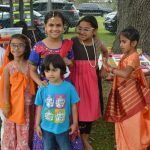 With the help of volunteers we had around 10 Fun and Interactive game Booths along with face painting, make your Krishna (with play dough), paint your Krishna etc.. More than 200 children enjoyed these games. 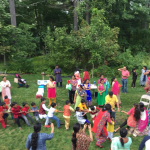 The highlight is musical chair and Tug of war between gopas and gopis. 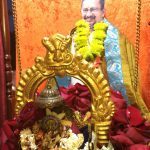 After playing all the games for about an hour and-half everyone gathered at a place and did Nagara Sankeerthanam by chanting Mahamantra. 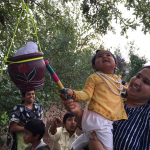 Children and ladies enjoyed by doing dandiya for few bhajans followed by our grand pot breaking. 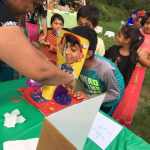 At last, all the children stood in a line to break the mud pot just like Krishna to have candies and butter.